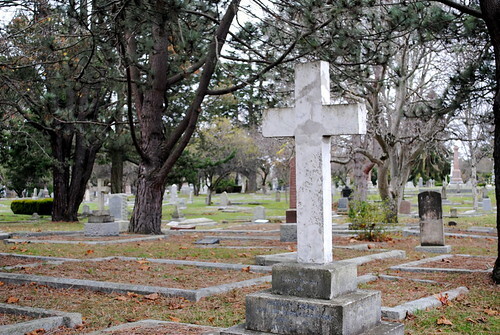 In 1873, a cemetery was created off the shores of what is now the Fairfield neighbourhood of Victoria. 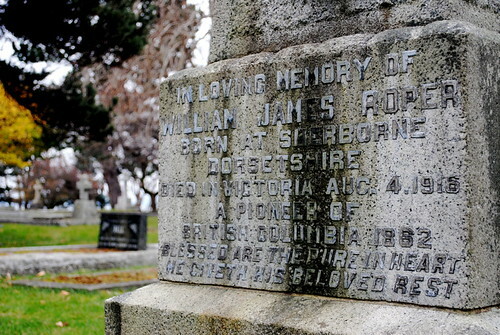 Since that time, it has become one of the most fascinating cemeteries in all of British Columbia, being that it’s the final resting place of some prolific Canadians that helped shape our Province and country. 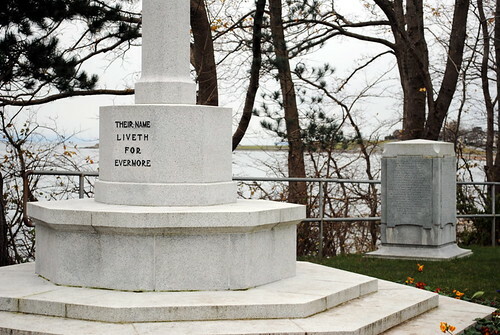 In the early 1900s, a seawall was built along the shores of Ross Bay Cemetery. Erosion from the ocean was damaging the cemetery, and old tales tell of coffins and bones being swept to sea. I first learned of Ross Bay Cemetery earlier this fall while researching some of Vancouver Island’s supposed haunted spots. When Rebecca and I began planning our girls’ trip to the Island, I brought up the idea of visiting the cemetery – an idea she was quickly on board with. Before the trip, I was given a copy of Awake and Dreaming by Victoria-based author Kit Pearson. 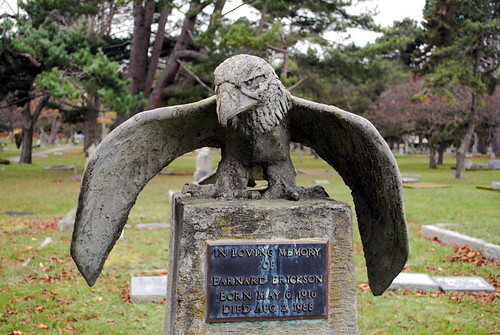 Much of the story takes place in and around Ross Bay Cemetery, so before visiting, I had an idea in my mind of what it would be like. I think perhaps what surprised me most was how quiet and calm the cemetery was. As Rebecca and I braved the bitter cold, we found ourselves weaving up and down the pathways, reading headstones, fixing flower pots that had fallen over and considering those that had gone long before us. Before we realized it, nearly two hours had passed. 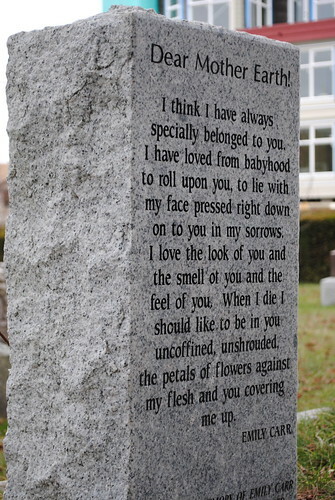 Rather than the uncomfortable experience I was expecting, spending time at Ross Bay Cemetery was wholly peaceful. Ross Bay Cemetery has been a full cemetery for several decades, with mothers, fathers, grandparents, those who lost their lives to illness in the late 1800s and those who died fighting for our country in the First and Second World Wars. 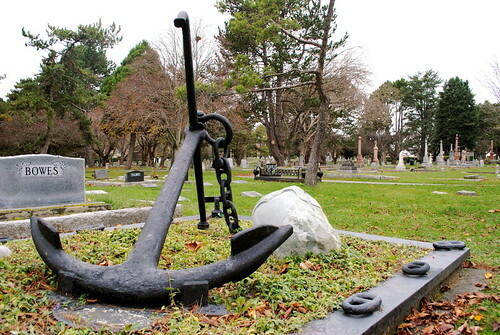 There are tributes, statues, anchors and even some graves left mostly unmarked. 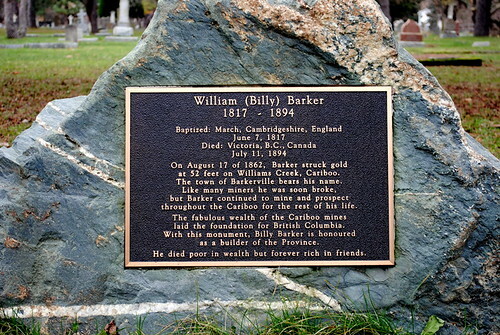 Home to many famous – and infamous – Canadians, this cemetery is where you’ll find the likes of Sir James Douglas, William “Billy” Barker, James Dunsmuir, John Robson and painter Sophie Pemberton. 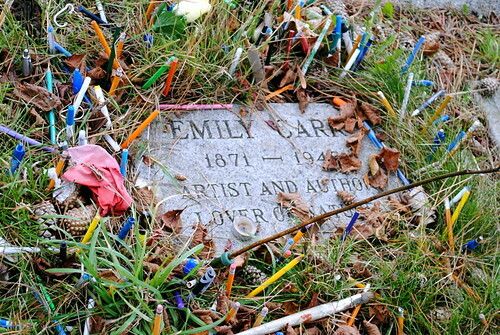 Perhaps one of the best-known and most-loved Canadians to be found at Ross Bay Cemetery is none other than Emily Carr. The impact her work has made, and still has today, was clear to see. 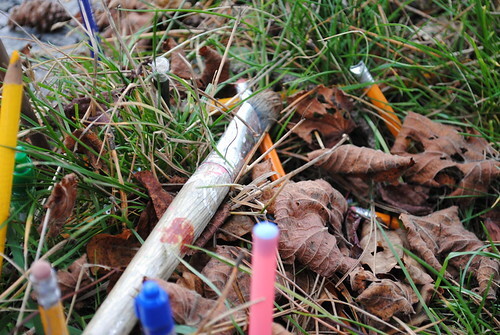 Visitors often leave pens, sketch pencils or paintbrushes by her grave which is marked with prose written by Emily. 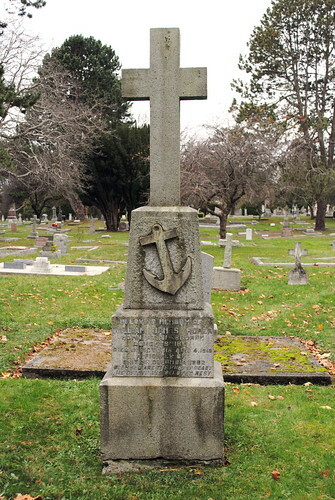 Those wishing to visit Ross Bay Cemetery will find it at 1516 Fairfield Road in Victoria. 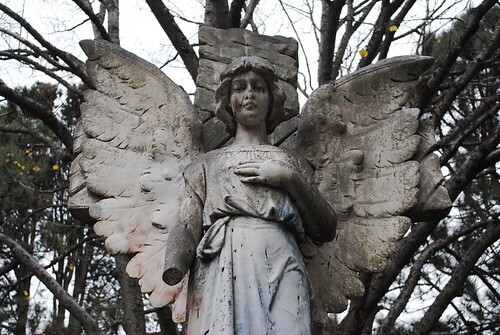 The Old Cemeteries Society regularly offers walking tours of the cemetery for a small fee. If you’d like to go it alone, you can also download the self-guided tour map. 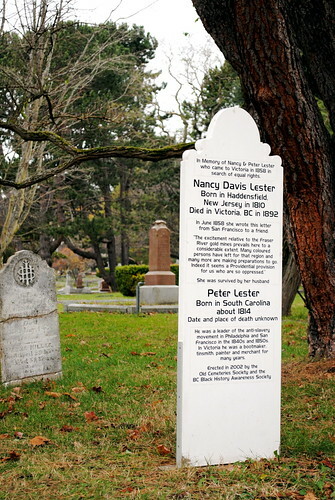 Please also take a moment to visit Miss604 for more in-depth information about famous Vancouverites buried at Ross Bay Cemetery. That prose brought me to tears…beautiful. Your’s and Rebecca’s posts make me want to move back to Victoria so much! If it wasn’t for our love of snow, we would probably move there. 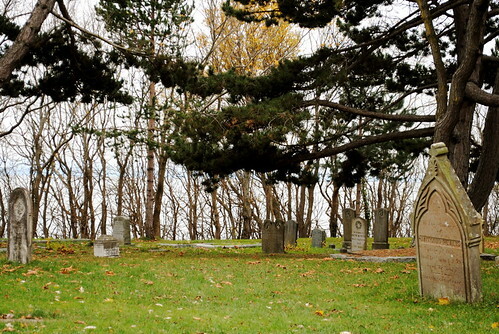 I visited the Ross Bay Cemetery back in September 2008 at the height of autumn foliage… and it was absolutely magical. FWIW, today is Emily Carr’s birthday… she was born 139 years ago today! Hi There, I am in grade 7 and doing a project on Emily Carr. Can I please use your picture of her grave site?